You are here: Home / Family Fun / Blast Off! ‘thats as long as it takes for light to get from the sun to the earth‘, which made me giggle a lot. I love that he is so passionate about space and science in general. 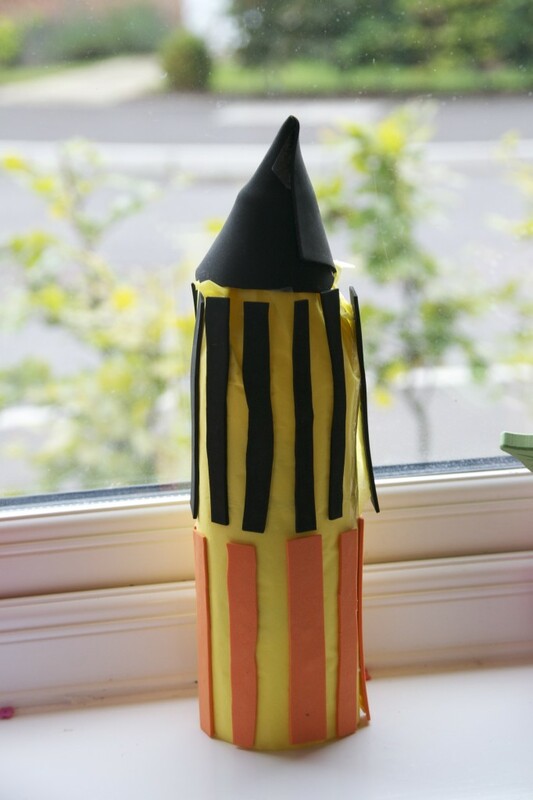 We’ve done a few science posts on science sparks, like this rocket, which he loved. 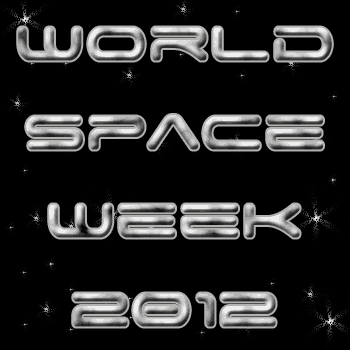 This week is World Space Week. 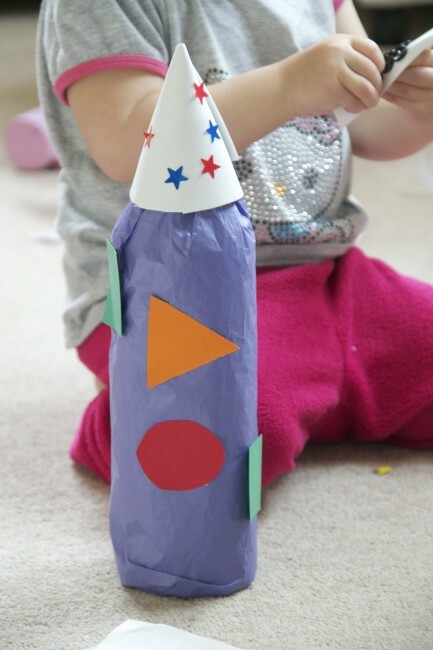 To celebrate H and I made a rocket from an old squash bottle. 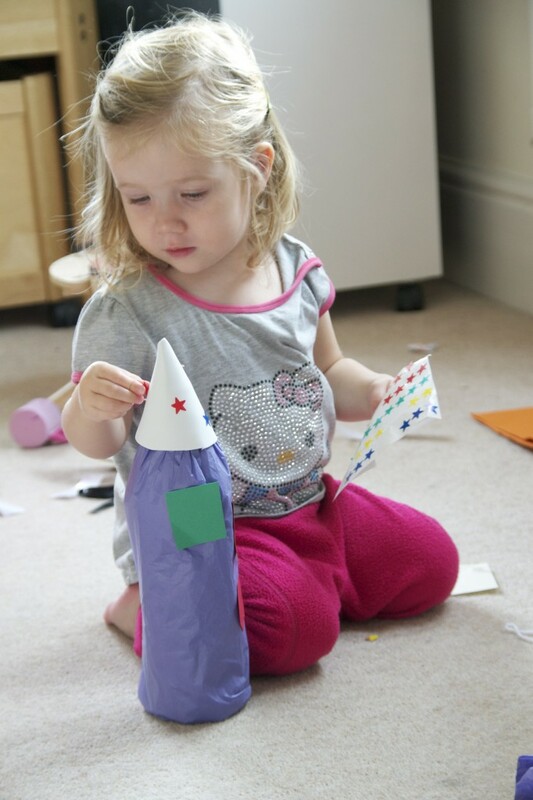 I covered the bottle in tissue paper first and made a cone from some foam, then I gave H some stars and different coloured shapes to stick on. We talked about the different colours and shapes as she stuck them on. Z came home from school and was so impressed with H’s rocket that he wanted to make his own. He even hid a little satellite in the top of his. I love both their rockets. 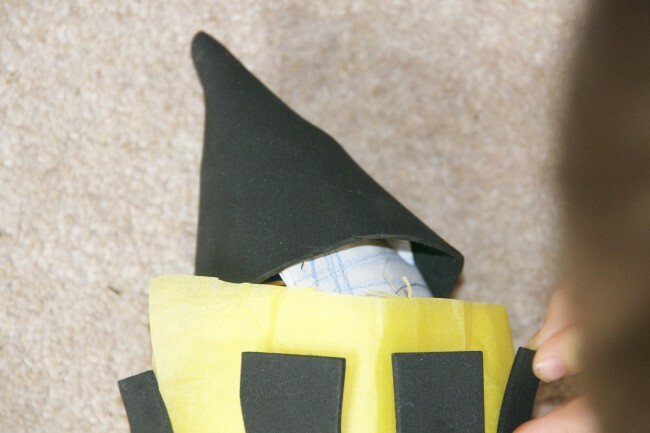 We did a Toilet Paper Roll Rocket last year and I think we may have to make another one this year. I loved science as a child. 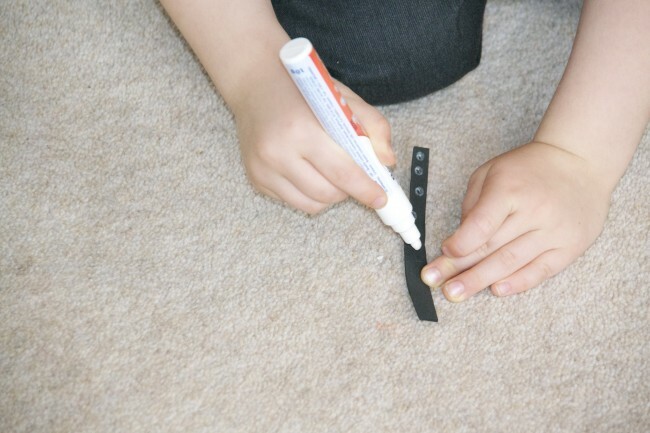 Making rockets from bottles was such fun! A great project for children.